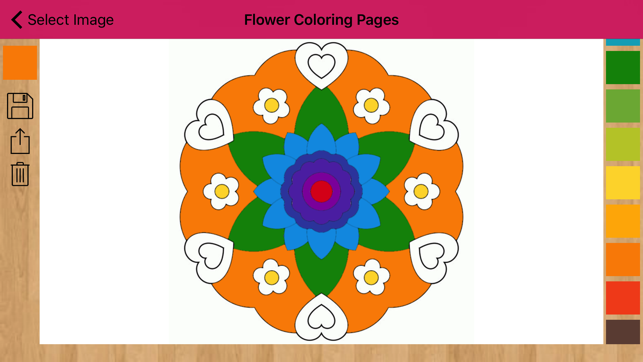 It’s one of the most relaxing games for coloring flowers for adults, children and the whole family you can install, with lots of beautiful and creative designs. 1. Download and install the game. 2. 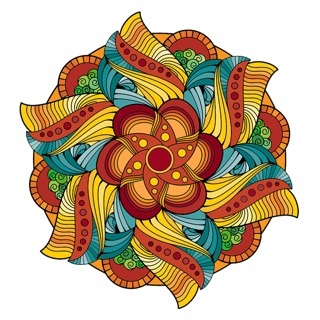 Choose the design of the mandala or flower you would like to color. 3. 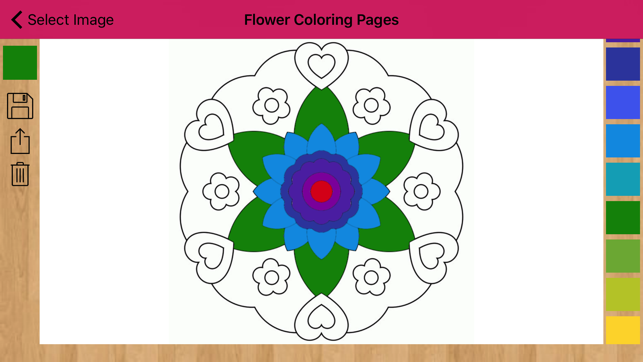 Start coloring flower pictures by filling the blanks with the selected colors. 4. 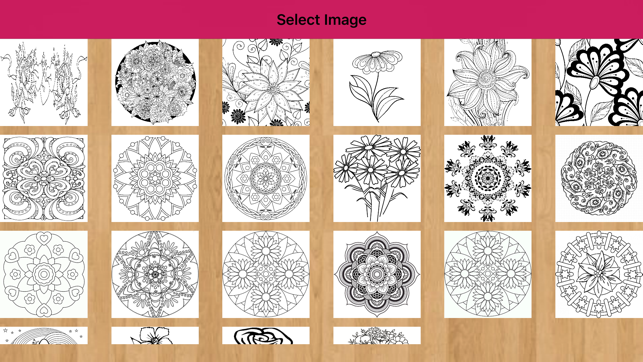 Once you have colored the mandala flower, you can save it to show it to anyone you like, or even better, you can share it via social media, email, messaging apps, etc. Which kinds of flower pictures will I find or for whom is the game designed? 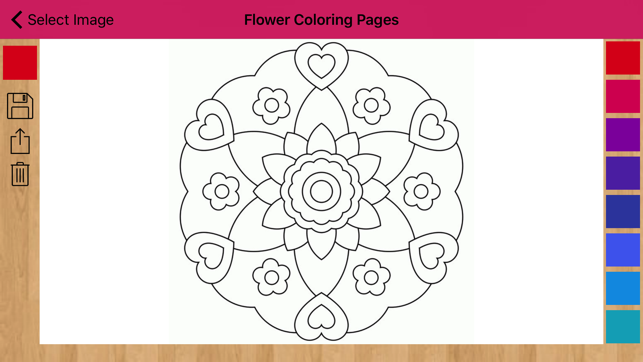 You can also find all kinds of flowers: roses coloring pages, flower mandalas, daisies, sunflowers, abstract flower designs, etc. 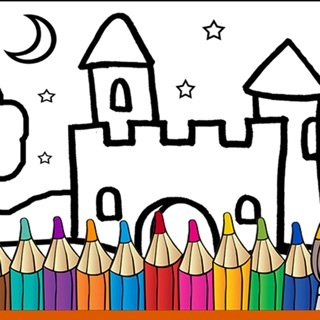 * You will find lots of colors you can choose to fill the blanks of each design. 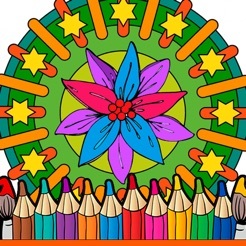 Every flower you can color in the app will be unique when you color and personalize it, thanks to the great variety of colors and designs you will find. 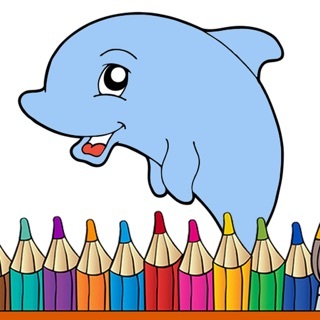 * Don’t worry if you make a mistake sometime, you can fill the blank you like with another color. 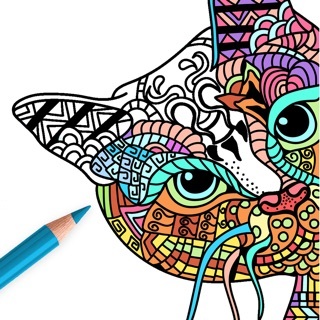 * Once you have finished coloring, you can share your mandala coloring book with the people you like. This app allows you to share those flower pictures via social media, messaging apps, SMS, email or via the way you choose. 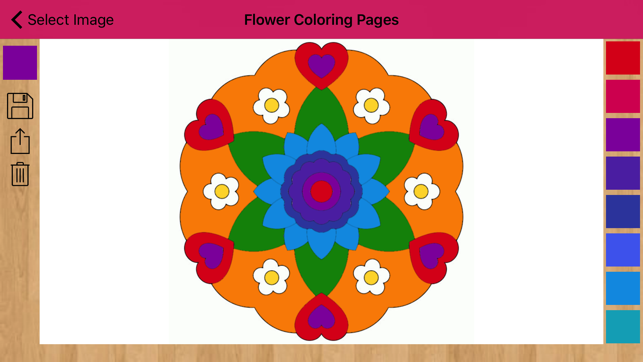 * If you like to save your colored flower drawings, you can do that as well, in order to always have them available on your phone or tablet whenever you like. 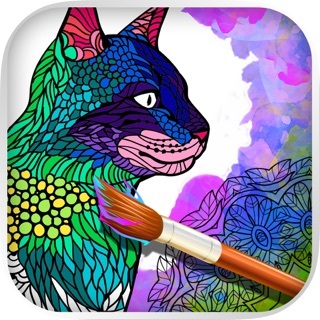 * We would like to keep updating this app continuously in order to add new mandala coloring pages, but therefore we need your support and we need you to help us improving the app and encouraging us by giving our app a positive review. All designs used on this app have been created by exclusive designers for Reticode. For some designs we have used images from public domain since they are not identified in any way that indicates the existence of exploitation rights reserved thereon. Any natural or legal person who was the owner of any images contained herein, may accredit through reticode@gmail.com, committing to the immediate withdrawal of the image after verification, if necessary, ownership of the image or protected sentence.